Trademark da Skydiver is a rapper who is known for being a member of his friend and fellow NO native Curren$y’s Jet Life collective. 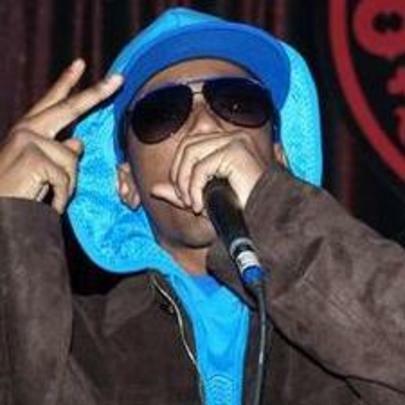 Trademark, AKA The Super Villain, appeared on Curren$y’s debut album “Pilot Talk” in 2010 and the rapper’s career has gone steadily gone up ever since. He has released several mixtapes, including his “Issue” series. He has collaborated with the Jet Life crew including Sir Michael Rocks, Smoke DZA, and Young Roddy, and his most recent project, “Flamingo Barnes 2: Mingo Royale” (2013), featured the likes of Bodega Bamz, Dizzy Wright, and Fiend. Trademark has yet to announce his next project, so stay posted for any details and new Jet Life releases. He grew up listening primarily to New Orleans music like Cash Money. He started rapping at age 15. He was inspired by Method Man’s “Tical 2000: Judgement Day” album. He adopted the moniker The Super Villain with a “me against the world” type attitude.